Christian Pfleiderer has been appointed as full professor at the Physik-Department, taking the newly established chair for “Experimental physics on the topology of correlated systems”. 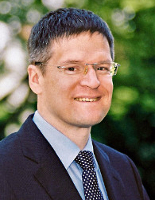 Christian Pfleiderer works in the field of experimental solid-state physics. One of his main scientific goals is the systematic search for new material properties related to strong electronic correlations. Examples include new forms of magnetism, unconventional superconductivity and anomalous metallic states. A focus of his research is on non-trivial topological characteristics of such systems, for instance Skyrmions in chiral magnets or electronic topological phase transitions. 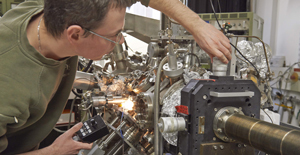 His experimental methods comprise of single crystal growth of intermetallic compounds under high-purity conditions, measurements of transport and volume properties under extreme conditions and a broad range of neutron scattering techniques. Christian Pfleiderer studied physics at the University of Tübingen and the University of Denver. He earned his PhD at the University of Cambridge. Following postdoctoral work at CEA Grenoble and as a research associate and head of a Helmholtz junior research group at the University of Karlsruhe, he became an associate professor for magnetic materials at TUM in 2004. 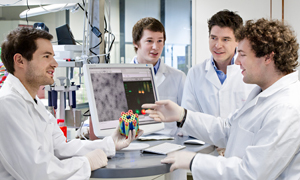 Professor Pfleiderer is a mentor of the Studienstiftung des deutschen Volkes. He is a member of the board of the German Research Foundation’s Transregio 80 collaborative research center and spokesperson of the associated integrated graduate school. He also serves as Germany’s representative of IUPAP commission C5 (low temperature physics). Further services to the community in the past included vice chairmanship of the German Committee on Research with Neutrons (KFN), as well as memberships of the Scientific Advisory Council of the European Spallation Source and of review panels of several neutron sources. 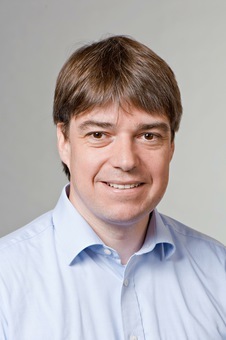 In recognition of his scientific achievements Christian Pfleiderer was awarded the academy price of the Heidelberg Academy for Sciences and Humanities in 2004. In 2011 he received an Advanced Grant of the European Research Council (ERC).